Remember, all of our designs are printed on demand and shipped out of California so please make sure you pick the right size and colour because our manufacturer will only exchange items if they are defective or broken! The size charts can be found in the product description of every product. We also encourage you to reach out to us if you’re still not sure about sizing because we cannot return unless goods are damaged. Some styles of tanks can run a bit lengthier so feel free to drop us a line at info@squeakychimp.com and we’ll figure out the best fit for you! 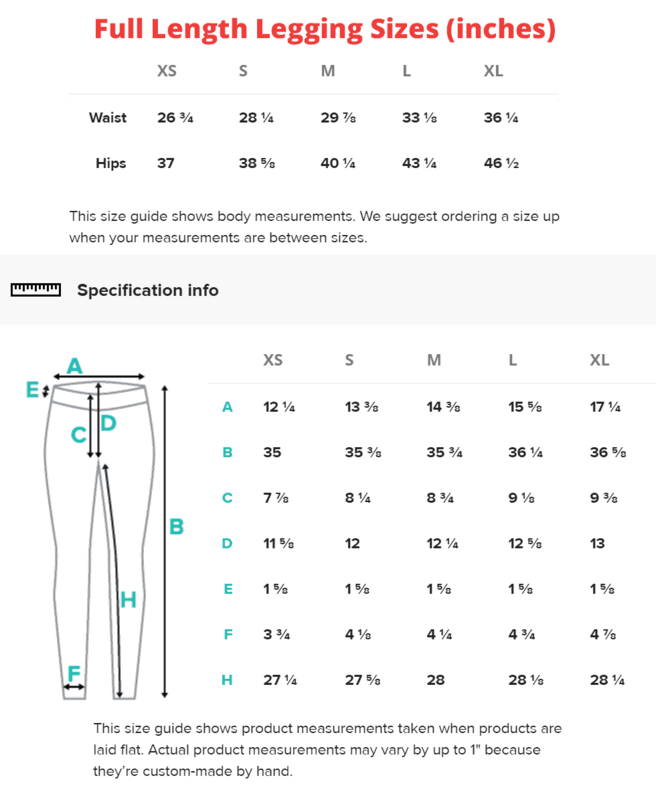 Legging sizes: If your unsure which size to get, it’s best to order a size up. Since their stretchy, they will look better too big then too small.